Saliva, Exosomes and MicroRNA for Pancreatic Cancer Detection – what’s not to like ! Dental research for pancreatic cancer has seemed to fall largely into two categories: specific bacterial overgrowth that may be associated in some manner with increased pancreatic cancer (ductal adenocarcinoma of the pancreas), and that related to exosomes, the free-floating “bubbles” found in saliva that we now know contains genetic materials (DNA and RNA) including mutations associated with pancreatic cancer (when the tumor is present) – bubbles which travel freely and widely through the bodies of mammals including human beings in all manner of biological fluids, like shipping vessels on the open sea. We have earlier detailed some of this most interesting research in relation to pancreatic cancer on the Pancreatica blog Here and Here. Saliva is grand for testing as it is easily available without invasive or painful procedure. Exosomes, not discovered until the late 1980s, appear to be formed by a pinching off from cell walls and carrying intra-cellular material in their subsequently formed inner pocket. As exosomes wander the fluid byways widely, aspects of their functions have been speculated to include communication and even possibly metastasis. MicroRNAs (miRNA or miR) are small non-coding RNA strands that appear to be related to gene and cell regulation that were not discovered until the 1990s. A number of types of miRs have appeared to be overexpressed in patients with tumors including in those with pancreatic cancer. 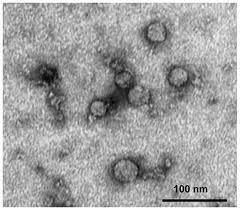 MiRs have been found in exosomes. We have addressed miRs and pancreatic cancer in the Pancreatica blog Here and Here. Many articles have been published in the medical literature during the past few years that purport to show the expression of one or more miRs (generally in serum) as associated with pancreatic cancer. Largely to date, although broad themes have been established in regard to the expression of certain miRs in relation to cancer of the pancreas, results of these studies have been somewhat inconsistent while still remaining quite promising. In the June 2015 issue of the International Journal of Cancer, German researchers from the University of Heidelberg including Marcus Büchler who is on our Pancreatica Science Board in part identified a four-miR panel based on high expression in pancreatic cancer patients’ exosomes that consisted of miR-1246, miR-4644, miR-3976 and miR-4306. These authors found the results promising by way of biomarker for pancreatic cancer but indicated that further testing was required for evaluation of diagnostic efficacy. In the article at hand published in the October 2016 issue of Oncology Reports journal, dental and medical researchers from Okayama University in Japan examined for these very four miRs (miR-1246, miR-4644, miR-3976 and miR-4306) in exosomes from the saliva of twelve patients with pancreatic cancer as compared with the saliva of 13 healthy controls. Especially miR-1246, miR-4644 were found to be increased in the pancreatic cancer patient group. The combined use of these two miRs gave an AUC of 0.883 (P=0.0005) which the authors suggest may allow for this combination to be an effective biomarker for pancreatic cancer. It is early days for the full explication of the relationships between MicroRNAs and specific tumors. But this pilot study by Japanese researchers (as well as the earlier one by those from the University of Heidelberg) addressing miRs and pancreatic cancer are encouraging and even exciting. The results beg for further research with a larger cohort of study subjects. 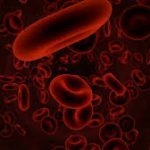 Posted in Medical Research, Pancreatic Cancer, Pancreatic Cancer Diagnosis, Pancreatic Cancer Screening Tests and Markers | Comments Off on Saliva, Exosomes and MicroRNA for Pancreatic Cancer Detection – what’s not to like ! Better Outcomes in Pancreatic Cancer with Select Treatments for Select Genetic Mutations ? Some pancreatic cancer patients (hereinafter referring just to those with ductal adenocarcinoma of the pancreas) have substantially better outcomes than the majority. In the paper now reviewed by this blog entry (link at the end of this article) as published in the October 2016 issue of Endocrine-related Cancer journal, the French authors summarize surveillance, prognosis and treatment options for pancreatic cancer patients that are ONLY ASSOCIATED with BRCA2 genetic mutations. They also identify characteristics of other patients with pancreatic cancer who may benefit from the same or similar treatment regimens. What we can learn from pancreatic cancer BRCA2 treatment successes may be able to be applied to other pancreatic cancer patients, even possibly providing for further rates of improved outcomes. The encouraging results for these pancreatic cancer patients were paved by earlier breast and ovarian cancer studies noting improved survival of patients carrying BRCA1 and BRCA2 mutations treated with platinum-based chemotherapy (here and here) and PARP inhibitor therapy (here). Individual case reports for those with pancreatic cancer (here and here) showed similar connections between platinum chemotherapy and more positive treatment outcomes. Around the same time, treatment selection evaluated a tumor’s genetic mutations in addition to the site of origin. More rigorous studies followed, strengthening the connection and uncovering additional mutation types that might benefit from these types of therapy for pancreatic cancer. Recent genome-wide studies of pancreatic tumors identified four distinct mutational subtypes of pancreatic cancer. Most BRCA2 pancreatic cancer patients appear to fall into the ‘unstable’ subtype comprising 14% of all pancreatic tumors in the study. ‘Unstable’ tumors have large number of chromosomal rearrangements, pointing to a broken DNA homologous recombination (HR) repair mechanism. The authors note that mutations in other Fanconi pathway genes such as BRCA1, FANC-C, FANC-G, ATM, and PALB2 may also be sensitive to platinum chemotherapies and PARP inhibitors (in vivo study on FANCC/FANCG, in vitro study on PALB2). Reliably effective treatments for pancreatic cancer are generally elusive, but these treatments in patients with pancreatic cancer who carry certain genetic mutations may offer increasing promise. Eventually, secondary mutations in heavily treated BRCA2 pancreatic cancer may cause resistance to platinum chemotherapy (here). Depending upon how the secondary mutations restored BRCA function, PARP inhibitors may still be effective (here). Germline (inherited) BRCA2 mutations account for around 5% of all pancreatic cancer (here). Germline mutations in BRCA1, PALB2, ATM, FANC-C and FANC-G are less prevalent. Mutations in these same genes also account for 10-15% of all sporadic (non-inherited) pancreatic cancer (here and here). Patients in both of these groups may be in a position to benefit from platinum and PARP inhibitor treatments. The authors in the study at hand discuss familial pancreatic cancer in much detail, recommending screening for high-risk individuals. Familial pancreatic cancer families consist of BRCA2 carriers with ≥1 first-degree relative with pancreatic cancer, or anyone with ≥2 blood relatives with pancreatic cancer. The authors postulate that Endoscopic Ultrasound (EUS) and MRI are the most effective screening methods (here), but both can offer a potential high risk of overtreatment when benign cystic lesions are mistaken for malignant tumors (here). Prophylactic surgery in individuals at high risk for familial pancreatic cancer was not recommended due to high mortality and medical complication rates. In familial pancreatic cancer, BRCA2 appears to be a major player. But in 80-85% of familial pancreatic cancer, no germline mutation has yet been identified. Registries exist to document and help identify the causes of familial pancreatic cancer. Participation in these registries does not necessarily provide for early detection, but may lead to improved population-wide understanding of the genetic and environmental aspects of pancreatic cancer. More effective treatments (platinum chemotherapy and PARP inhibitors) exist for pancreatic cancer patients with BRCA2 mutations. These treatments may also benefit those with BRCA1, PALB2, ATM, FANC-C or FANC-G mutations. Half of all pancreatic cancer patients with BRCA2 mutations do not meet genetic testing criteria (here), implying that more could be benefitting from these treatments but are unaware of their status. Thus, it is important to draw the attention of patients and professionals to this important and even critical information. Posted in Medical Research, Pancreatic Cancer | Comments Off on Better Outcomes in Pancreatic Cancer with Select Treatments for Select Genetic Mutations ? The drug gemcitabine is generally well tolerated, but its efficacy for pancreatic cancer (ductal adenocarcinoma of the pancreas) when used as a solitary chemotherapy is now understood to not be as great as that of use in combination with Abraxane, or as that of the four-drug chemotherapy combination regimen – FOLFIRINOX. However these combination chemotherapy regimens for pancreatic cancer tend to carry more frequent and severe adverse effects. Gemcitabine is a hydrophilic nucleoside analog, and consequently must be carried by cell membrane transporters to penetrate the hydrophobic cell wall in order to initiate its cytotoxic anti-pancreatic-tumor activity. The main membrane carrier for gemcitabine is considered to be hENT1 (human equilibrative nucleoside transporter 1). Past retrospective studies with gemcitabine used as adjuvant therapy for pancreatic cancer, though somewhat conflicting, generally appear to suggest that increased levels of hENT1 may be associated with a greater than expected survival advantage. The authors, from the Università Cattolica del Sacro Cuore in Rome, Italy, conducted a retrospective analysis to better understand the relationship between hENT1 expression as an indicator of gemcitabine chemotherapy outcomes in pancreatic cancer. And more specifically, to determine the survival characteristics in pancreatic cancer of the less toxic monotherapy as compared to the generally more efficacious but more toxic combination regimen of FOLFIRINOX, especially in terms of those pancreatic cancer patients demonstrating hyperexpression of hENT1. The results of this study were published in the October 2016 issue of Clinical & Translational Oncology (the official journal of the Federation of Spanish Oncology Societies and of the National Cancer Institute of Mexico). The researchers reviewed the records of 149 patients with locally advanced and metastatic pancreatic cancer who had been treated in their institution from 2009 until 2013. They found that 70 of patients’ records were evaluable (36 FOLFIRINOX and 34 gemcitabine monotherapy). The authors also found that 31 patients had stored pancreatic cancer tumor tissue with enough RNA to evaluate hENT1 levels. The median overall survival was significantly longer in duration in the FOLFIRINOX as compared to the gemcitabine group (11 months vs. 8 months). Also, the FOLFIRINOX arm showed a statistically greater incidence of Grade 3 and 4 adverse effects over gemcitabine, especially neutropenia, diarrhea, and sensory neuropathy. These outcomes were seen as consistent with what has come to be expected in the treatment of pancreatic cancer. The authors now did something very clever. They assayed hENT1 levels from pancreatic tissue in three healthy controls. In this manner, they established a median hENT1 level which served as a border for the purposes of the remainder of the study. Results found to lie below this median level were assumed to represent low hENT1 expression, and those above this cut-off were assumed to be hyperexpression of hENT1. Of the 31 patients who had pancreatic tissue for analysis, 12 were classified as having low hENT1 levels, and 19 patients were found to carry hENT1 hyperexpression. Seven of the hENT1 hyperexpressors had received FOLFIRINOX; twelve received gemcitabine. Seven of the hENT1 hypoexpressors had received FOLFIRINOX, five received gemcitabine. The key finding of this study is that within the hENT1 hyperexpressors in pancreatic cancer there was no statistical difference in overall survival and in progression free survival between the FOLFIRINOX and the gemcitabine monotherapy groups. (OS FOLFIRINOX 8.5 months; gemcitabine 7 months). Further, the overall survival of the 12 hENT1 hyperexpressors treated with gemcitabine was significantly greater than the 5 hypoexpressors treated with gemcitabine (8 months vs. 2 months). The FOLFIRINOX expression subgroups with pancreatic cancer did not show any statistical difference in survival. In the discussion section of the paper, the authors note the small sample size as a possible limitation of the study. The implications of these results certainly appear to be worth future replication attempts with a much larger study population. The identification of those pancreatic cancer patients who might do as well with less toxic gemcitabine monotherapy over combination chemotherapy could confer a considerable quality of life benefit.